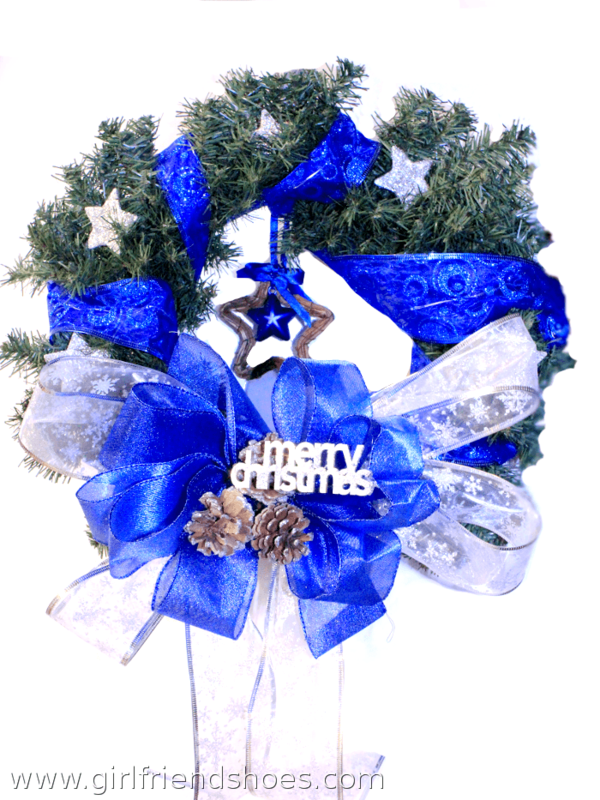 3 more Christmas wreaths that I have just finished making. The two green ones have lights (of course) but I didn’t take any good pictures yet of them lit up. This first one I wanted to make when I saw the purple Christmas balls. The color of them is gorgeous. This next one I wanted to make blue and silver. 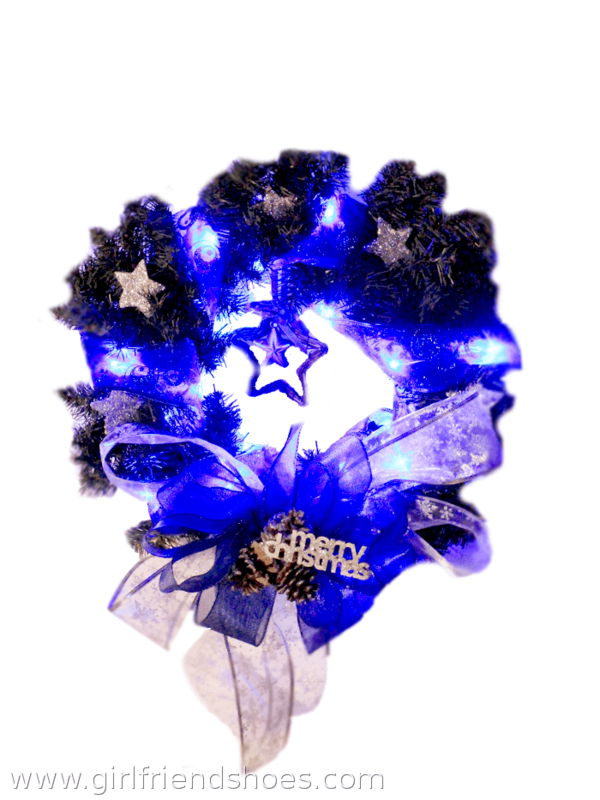 The blue ribbon has LED lights right inside of it that are also blue and it’s just beautiful. This looks really cool in the dark. Here’s a glimpse via a not so awesome edited photo. This next one is the simplest but also my favorite. It’s pink. The ribbon is a pink & purple mix. Sort of a pink iridescent with purple highlights. Really pretty. 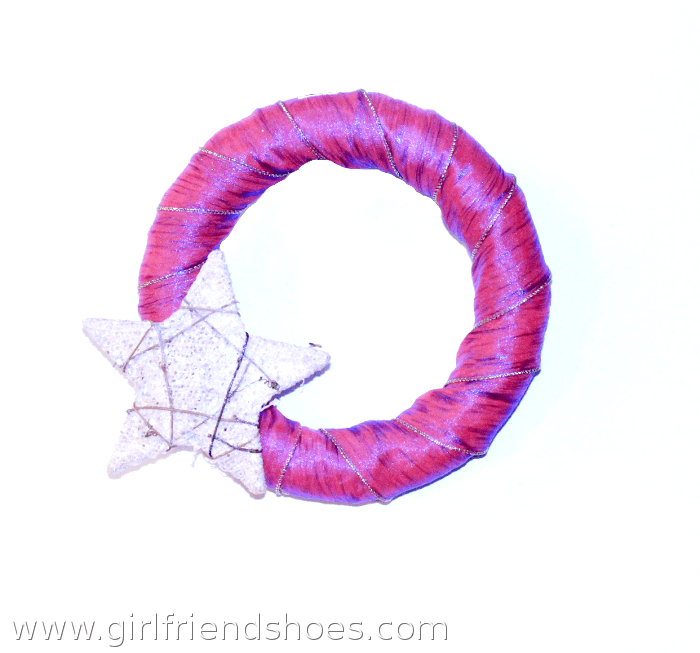 I wanted to make a simple one to show off the ribbon so I just put a pretty star on it for an accent. My next little project was to make wall presents. I used plain canvas and acrylic paint with ribbon. 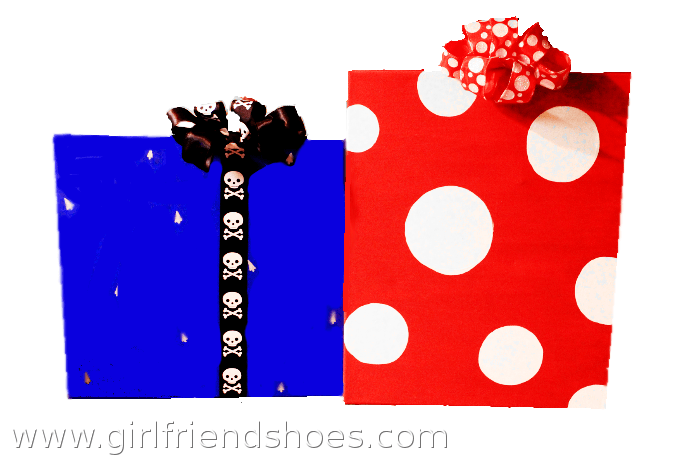 The blue one with skull ribbon I made for a guy and the red polka dot one is a mini mouse theme one I made for a girl. I also made a mini mouse shaped tag with red and black pipe cleaners to hang off the red one but I didn’t snap a picture of it. Duh. 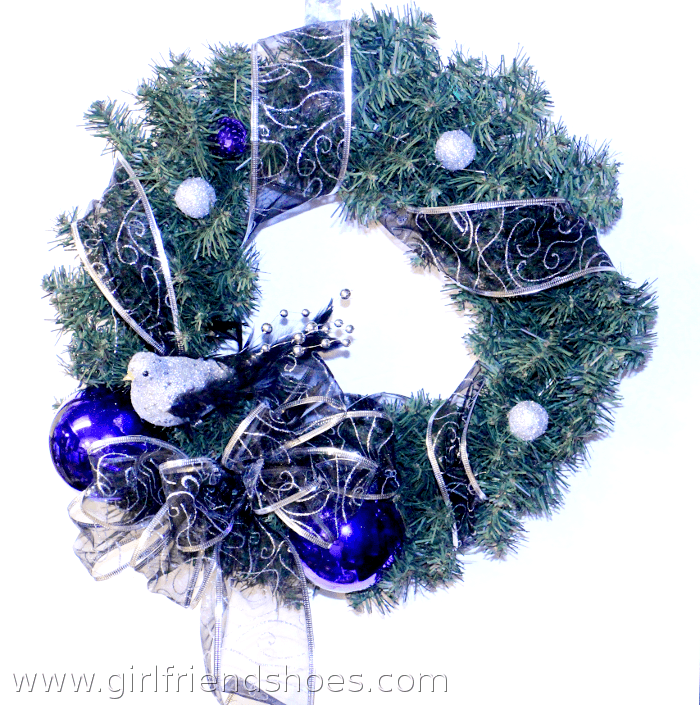 Kind of a neat Christmas wall decor idea, don’t you think?